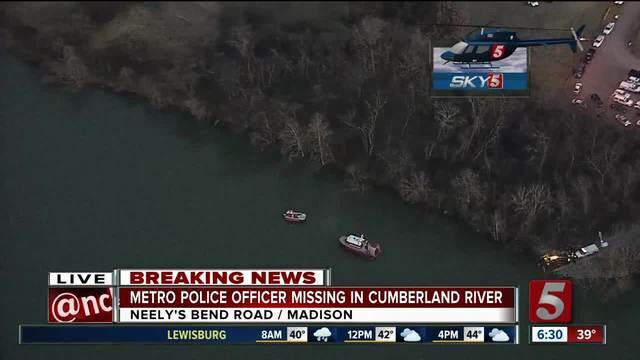 A officer with the Metro Nashville Police Department has died while trying to save a suicidal woman in the Cumberland River. 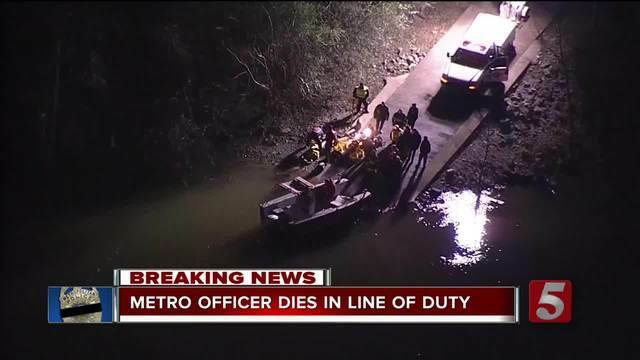 Metro Police officials said a diver recovered the body of 44-year-old Officer Eric Mumaw early Thursday morning after an intense search. 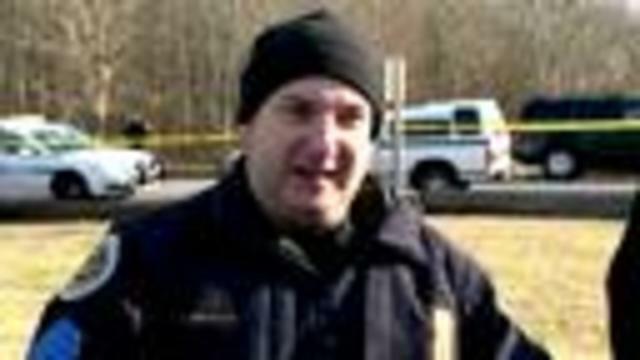 He was an 18-year veteran of the department. Authorities said they received word about a 40-year-old woman contemplating suicide at the end of a boat ramp at Peeler Park. Officers Eric Mumaw, Nick Diamond and Trent Craig made contact with her and tried to talk her out of the car. The officers found the woman in the vehicle, who was identified as Juli Glisson. Officer Craig tried to keep her from putting it into gear, while Officer Mumaw tried to open her door at the same time. However, that's when Glisson put the car into gear and it rolled backwards down the ramp. In an effort to save her, they tried to get her out of the car but slipped as the car became submerged. Because it was dark, they couldn't see where the boat ramp ended. Officer Diamond initially tried to save Officer Mumaw but was unsuccessful. Diamond was rescued and taken to Vanderbilt University Medical Center, where he was listed in stable condition. Officer Craig was treated at the scene. Officer Craig ran along the river bank hoping to see Mumaw come up from the water. He finally spotted Mumaw's head and jumped in. However, the water was neck-deep and extremely cold and eventually forced Craig out of the water before he could save his fellow officer. Mumaw was last seen around 4:40 a.m., some 50-60 yards from the boat ramp. The water is said to be about 15-feet deep in the area and about 49-degrees. About an hour after the incident, the woman, identified as Juli Glisson, was found along the river bank and taken to an area hospital. She has been detained and is under criminal investigation . "We need the thoughts and prayers of the city for this police officer," Metro Police Spokesman Don Aaron said during a press conference. 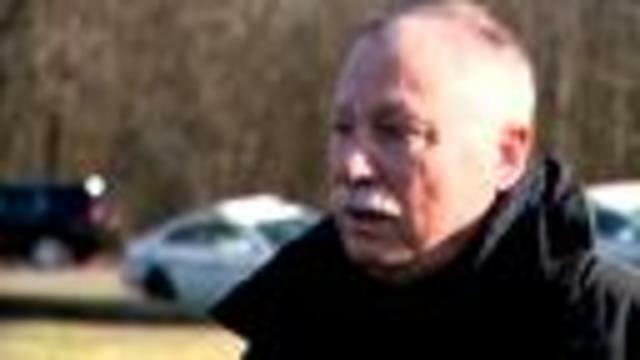 His body was later recovered from the river. 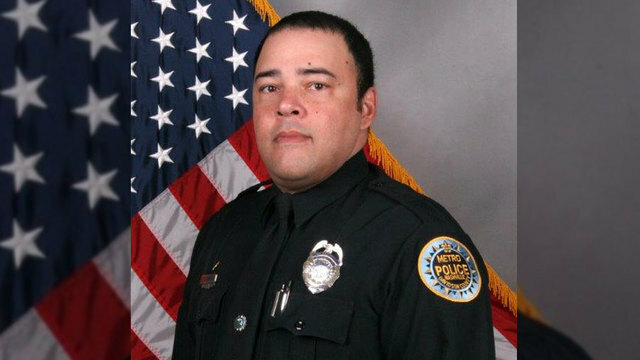 With very heavy hearts, the MNPD acknowledges that the body of our officer has been recovered by a Fire Dept. diver. 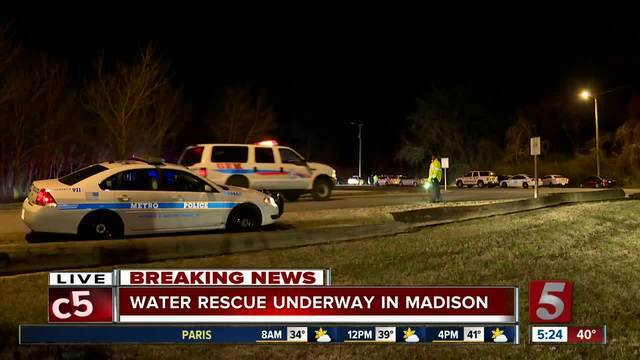 "Although his life is lost, it's important that his body is recovered and he's now at peace," said Metro Nashville Police Chief Steve Anderson. 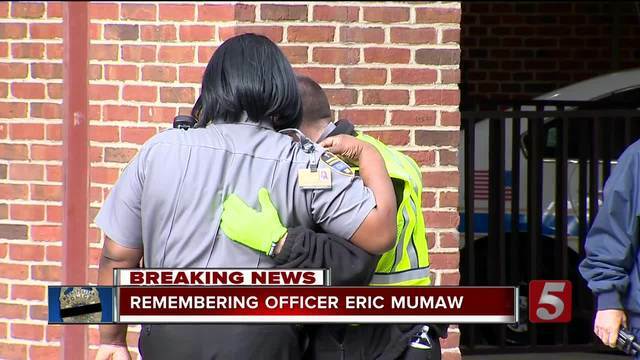 Mumaw is the first officer to die in the line of duty since Officer Michael Petrina was hit and killed on Interstate 65 in May 2014. He was no stranger to heroic action. Mumaw won the Lifesaving Award in 2011. Mumaw and other officers responded to a call of a man being attacked by his roommate, who was armed with a sword. Officers found no signs of trouble, but continued to knock and listen for any movement until they heard a faint cry for help. The officers quickly entered, and wrestled the sword away from the man, saving the life of the victim. An email account, OfficerMumaw@nashville.gov , has been set up for those who wish to send their condolences to his family and friends. On Thursday, Mayor Megan Barry ordered all flags at Metro buildings to fly at half-staff in Officer Mumaw's honor. 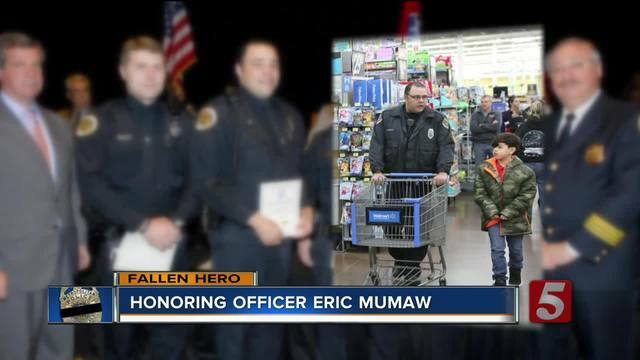 A memorial service for Officer Mumaw was scheduled for noon Monday at Cornerstone Church, 726 W. Old Hickory Boulevard in Madison. Visitation will precede the service from 9 a.m. to noon.